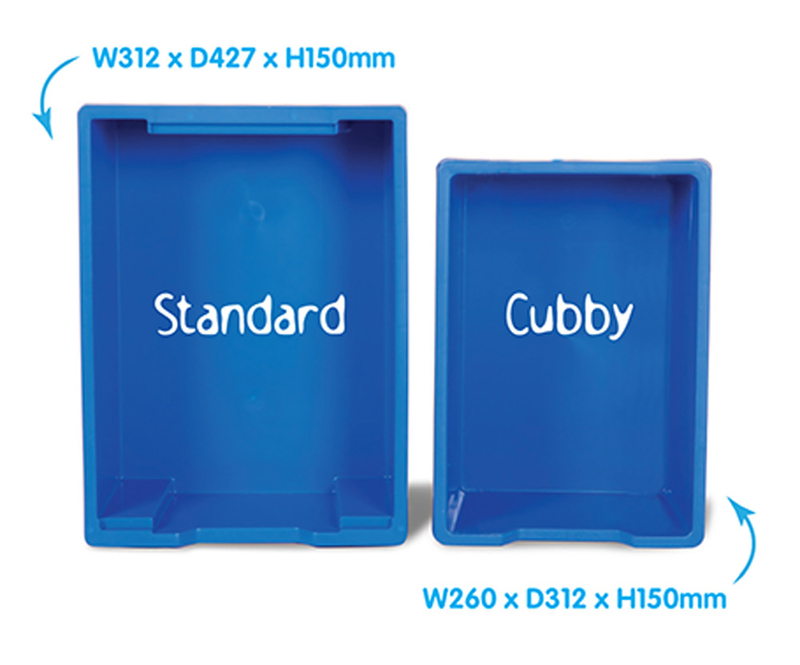 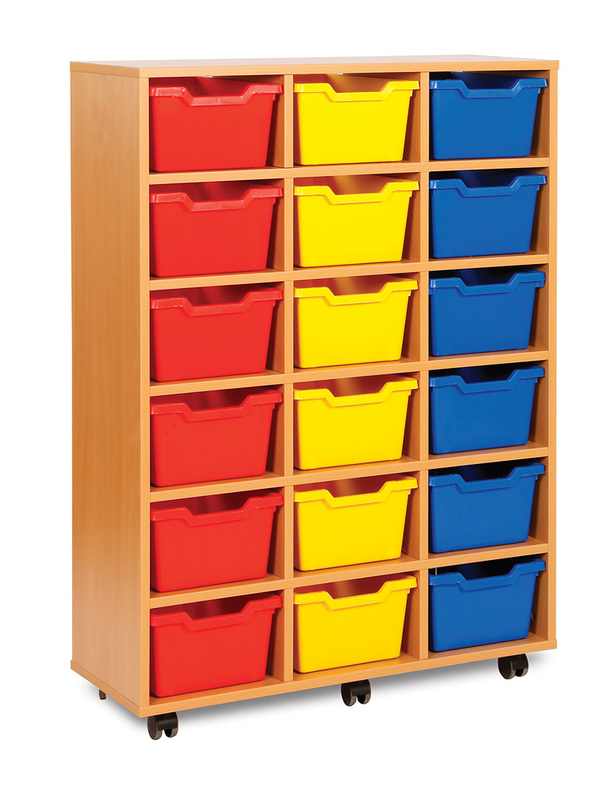 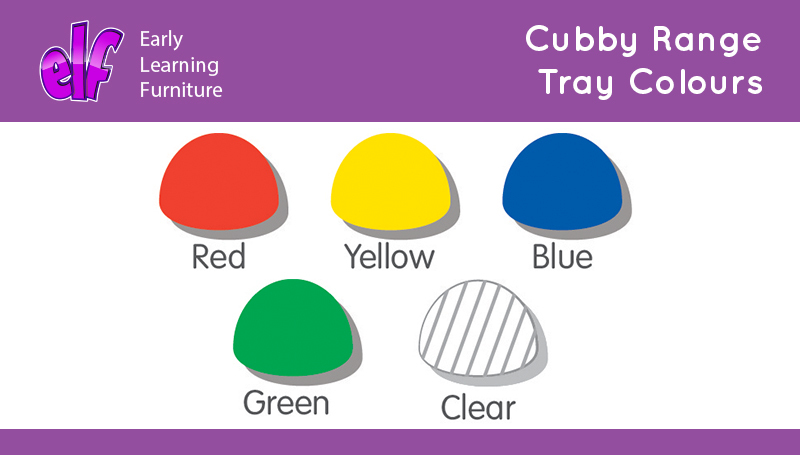 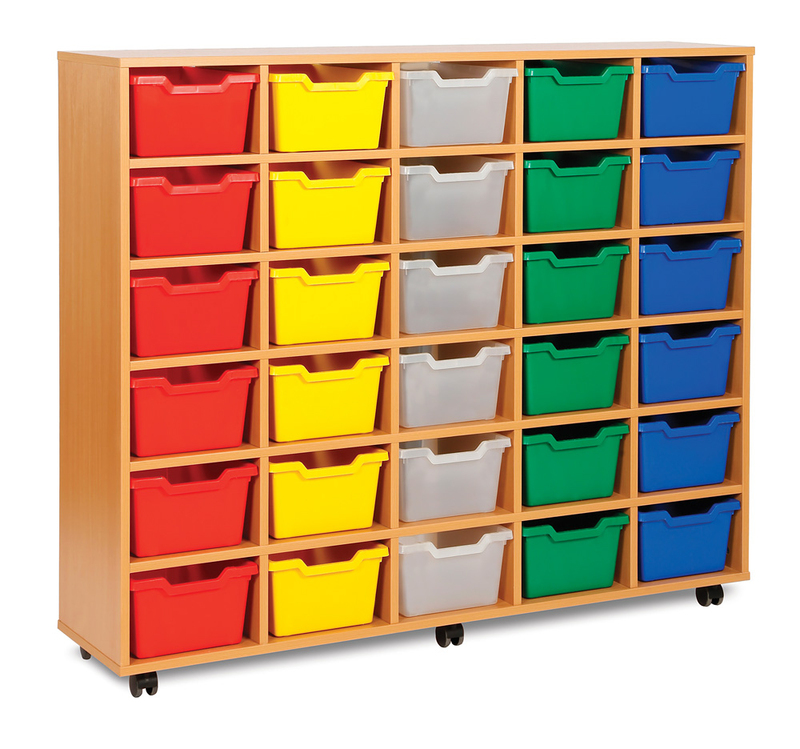 The Cubby range tray storage unit is available with a choice of 6, 12, 18, 24 or 30 school trays. 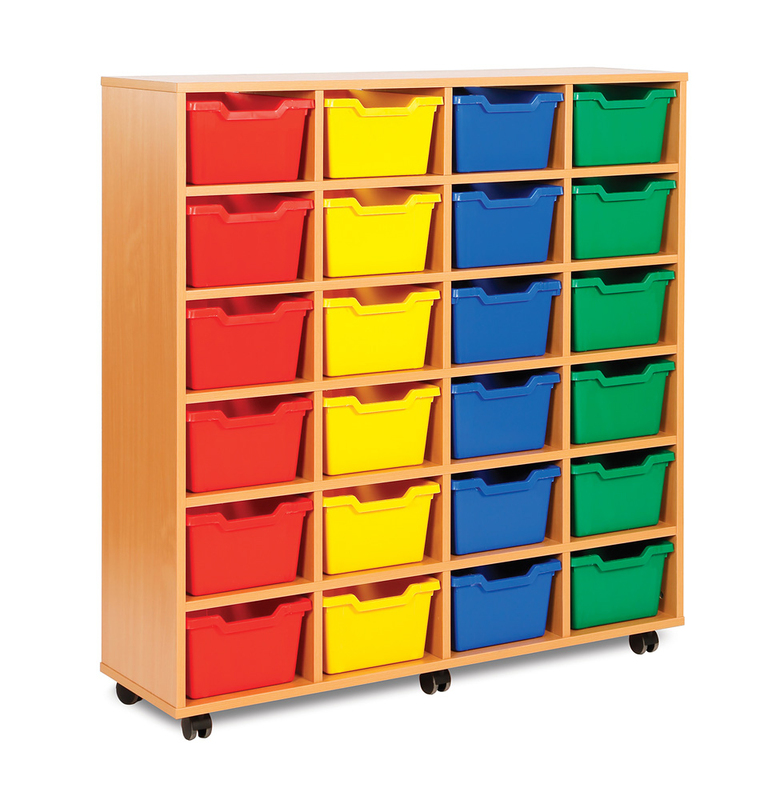 Our Cubby range of tray storage is constructed with 18mm durable MFC in a modern beech finish and each tray is available in 5 colours. 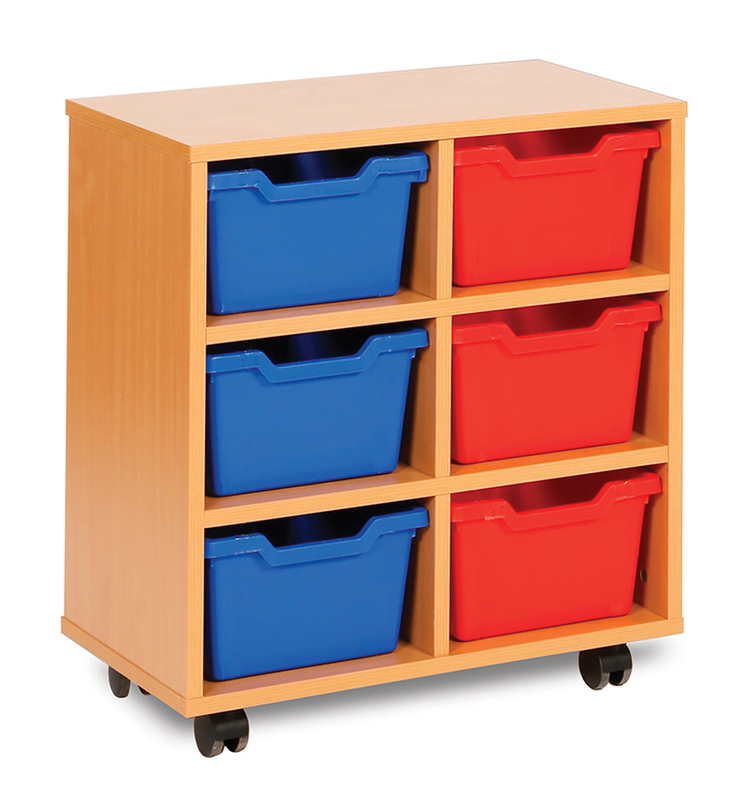 Supplied with easy glide castor feet so you can manoeuvre your school trays easily if required. 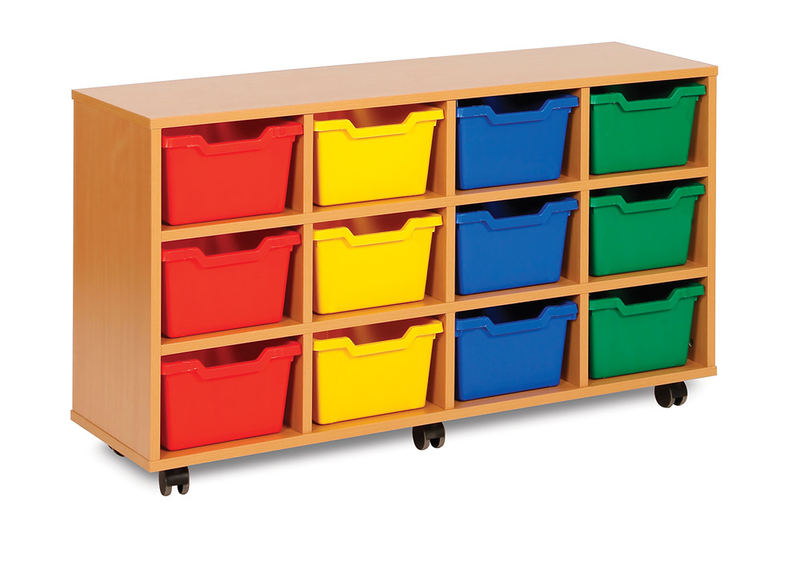 The Cubby tray size is slightly smaller than the standard Gratnells deep tray and the storage unit depth is only 343mm, making these school storage unit’s ideal storage solutions for smaller classrooms with less space.